Mary Ann Todd Lincoln (December 13, 1818 – July 16, 1882) was the wife of the 16th President of the United States, Abraham Lincoln, and was First Lady of the United States from 1861 to 1865. She dropped the name Ann after her younger sister, Ann Todd [Clark], was born, and did not use the name Todd after marrying. Mary Ann was a member of a large, wealthy Kentucky family, and was well educated. After living in the Todd House and finishing school during her teens, she moved to Springfield, Illinois, where she lived with her married sister Elizabeth Edwards. Before she married Abraham Lincoln, Mary was courted by his long-time political opponent Stephen A. Douglas. She and Lincoln had four sons together, only one of whom outlived her. Their home of about 17 years still stands at Eighth and Jackson Streets in Springfield, Illinois. She supported her husband throughout his presidency. She witnessed his fatal shooting when they were together in the President's Box at Ford's Theatre on Tenth Street in Washington. Mary was involuntarily institutionalized for psychiatric disease ten years after her husband's murder. She also complained of many physical symptoms during her adult life. Mary was born in Lexington, Kentucky as the fourth of seven children of Robert Smith Todd, a banker, and Elizabeth (Parker) Todd. Her family were slaveholders, and Mary was raised in comfort and refinement. When Mary was six, her mother died. Two years later, her father married Elizabeth "Betsy" Humphreys and they had nine children together. Mary had a difficult relationship with her stepmother. From 1832, Mary and her family lived in what is now known as the Mary Todd Lincoln House, an elegant 14-room residence at 578 West Main Street in Lexington, Kentucky. Mary's paternal great-grandfather, David Levi Todd, was born in County Longford, Ireland, and immigrated through Pennsylvania to Kentucky. Another great-grandfather, Andrew Porter, was the son of an Irish immigrant to New Hampshire and later Pennsylvania. Her great-great maternal grandfather Samuel McDowell was born in Scotland, and emigrated to Pennsylvania. Other Todd ancestors came from England. At an early age Mary was sent to Madame Mantelle's finishing school, where the curriculum concentrated on French and literature. She learned to speak French fluently and studied dance, drama, music, and social graces. By age 20, she was regarded as witty and gregarious, with a grasp of politics. Like her family, she was a Whig. Mary began living with her sister Elizabeth Porter Edwards in Springfield, Illinois in October 1839. Elizabeth, married to Ninian W. Edwards, son of a former governor, served as Mary's guardian. Mary was popular among the gentry of Springfield, and though she was courted by the rising young lawyer and Democratic Party politician Stephen A. Douglas and others, she chose Abraham Lincoln, a fellow Whig. Mary Todd married Abraham Lincoln on November 4, 1842, at her sister Elizabeth's home in Springfield, Illinois. She was 23 years old and he was 33 years of age. Robert Todd Lincoln (1843–1926), lawyer, diplomat (U.S. Secretary of War), businessman. Thomas Lincoln, known as "Tad" (1853–1871), died at age 18 (either from pleurisy, pneumonia, congestive heart failure, or tuberculosis). Robert and Tad survived to adulthood and the death of their father, and only Robert outlived his mother. Lincoln and Douglas eventually became political rivals in the great Lincoln-Douglas debates for a seat representing Illinois in the United States Senate in 1858. Although Douglas successfully secured the seat when elected by the Illinois legislature, Lincoln became famous for his position on slavery, which generated national support for him. While Lincoln pursued his increasingly successful career as a Springfield lawyer, Mary supervised their growing household. Their house, where they resided from 1844 until 1861, still stands in Springfield, and has been designated the Lincoln Home National Historic Site. During Lincoln's years as an Illinois circuit lawyer, Mary was often left alone for months at a time to raise their children and run the household. Mary supported her husband socially and politically, not least when Lincoln was elected president in 1860. During her White House years, Mary Lincoln faced many personal difficulties generated by political divisions within the nation. Her family was from a border state where slavery was permitted. Several of her half-brothers served in the Confederate Army and were killed in action, and one brother served the Confederacy as a surgeon. Mary staunchly supported her husband in his quest to save the Union and was strictly loyal to his policies. Considered a "westerner" although she had grown up in the more refined Upper South city of Lexington, Mary worked hard to serve as her husband's First Lady in Washington, D.C., a political center dominated by eastern and southern culture. Lincoln was regarded as the first "western" president, and critics described Mary's manners as coarse and pretentious. She had difficulty negotiating White House social responsibilities and rivalries, spoils-seeking solicitors, and baiting newspapers in a climate of high national intrigue in Civil War Washington. 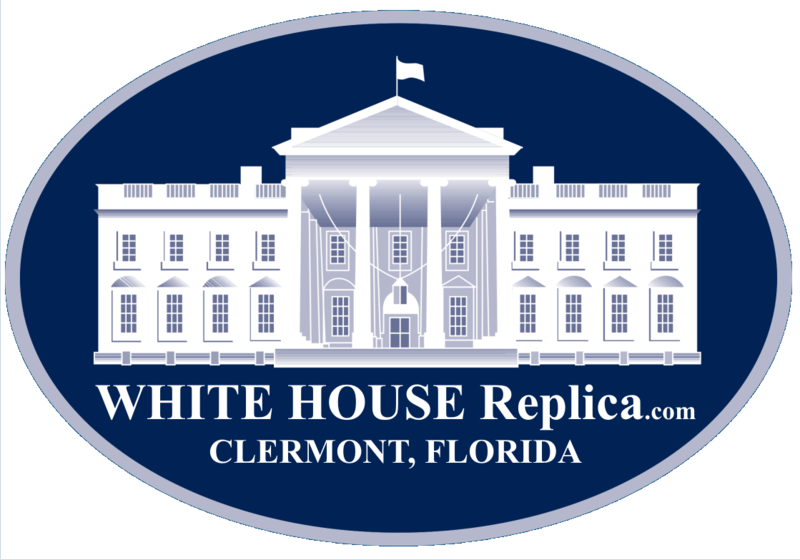 She refurbished the White House, which included extensive redecorating of all the public and private rooms as well as the purchase of new china, which led to extensive overspending. The president was very angry over the cost, even though Congress eventually passed two additional appropriations to cover these expenses. Mary suffered from severe headaches, described as migraines, throughout her adult life, as well as protracted depression. Her headaches seemed to become more frequent after she suffered a head injury in a carriage accident during her White House years. A history of mood swings, fierce temper, public outbursts throughout Lincoln's presidency, as well as excessive spending, has led some historians and psychologists to speculate that Mary suffered from bipolar disorder. By contrast, John Sotos, a physician and medical historian, has posited that Mary's manic and depressive episodes, as well as many of her physical symptoms, could be explained as manifestations of pernicious anemia. During her White House years, she often visited hospitals around Washington to give flowers and fruit to wounded soldiers. She took the time to write letters for them to send to their loved ones. From time to time, she accompanied Lincoln on military visits to the field. Responsible for hosting many social functions, she has often been blamed by historians for spending too much money on the White House. In April 1865, as the Civil War ended, Mrs. Lincoln expected to continue as the First Lady of a nation at peace. On Friday, April 14, 1865, she sat with her husband watching the comic play Our American Cousin at Ford's Theatre, she whispered to her husband, who was holding her hand, "What will Miss Harris think of my hanging on to you so?" The president smiled and replied, "She won't think anything about it". That was the last conversation the Lincolns ever had. Minutes later, President Lincoln was shot by John Wilkes Booth. She was holding Abraham's hand when John Wilkes Booth's bullet struck the back of his head. Mrs. Lincoln accompanied her mortally wounded husband across the street to the Petersen House, where he was taken to a back bedroom and laid crosswise on the bed there, where Lincoln's Cabinet was summoned. Their son Robert sat with Lincoln throughout the night until he died the following morning – Saturday, April 15, 1865. Secretary of War Edwin M. Stanton ordered Mary from the room as she was so unhinged with grief. I have received the letter which Your Majesty has had the kindness to write. I am deeply grateful for this expression of tender sympathy, coming as they do, from a heart which from its own sorrow, can appreciate the intense grief I now endure. Victoria had suffered the loss of her husband, Prince Albert, four years earlier. As a widow, Mrs. Lincoln returned to Illinois and lived in Chicago with her sons. In 1868, her former modiste (dressmaker) and confidante, Elizabeth Keckley (1818–1907), published Behind the Scenes, or, Thirty Years a Slave, and Four Years in the White House. She had been born into slavery, purchased her freedom and that of her son, and became a successful businesswoman in Washington, D.C. Although this book provides valuable insight into the character and life of Mary Todd Lincoln, at the time the former First Lady (and much of the public and press) regarded it as a breach of friendship and confidentiality. Keckley was widely criticized for her book, especially as her editor had published letters from Mary Lincoln to her. 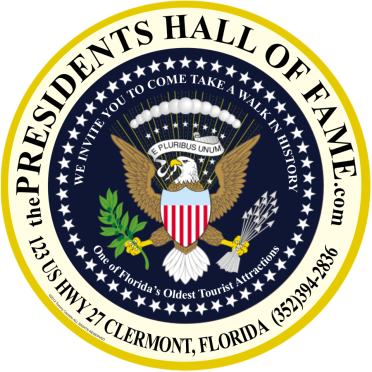 It has now been gratefully accepted by many historians and biographers and been used to flesh out the President and First Lady's personalities behind the scenes in the Executive Mansion and been used as the basis for several motion pictures and TV mini-series during the late 20th and early 21st Centuries. In an act approved by a low margin on July 14, 1870, the United States Congress granted Mrs. Lincoln a life pension of $3,000 a year ($56,818 in 2016 dollars). Mary had lobbied hard for such a pension, writing numerous letters to Congress and urging patrons such as Simon Cameron to petition on her behalf. She insisted that she deserved a pension just as much as the widows of soldiers, as she portrayed her husband as a fallen commander. At the time it was unprecedented for widows of presidents, and Mary Lincoln had alienated many congressmen, making it difficult for her to gain approval. 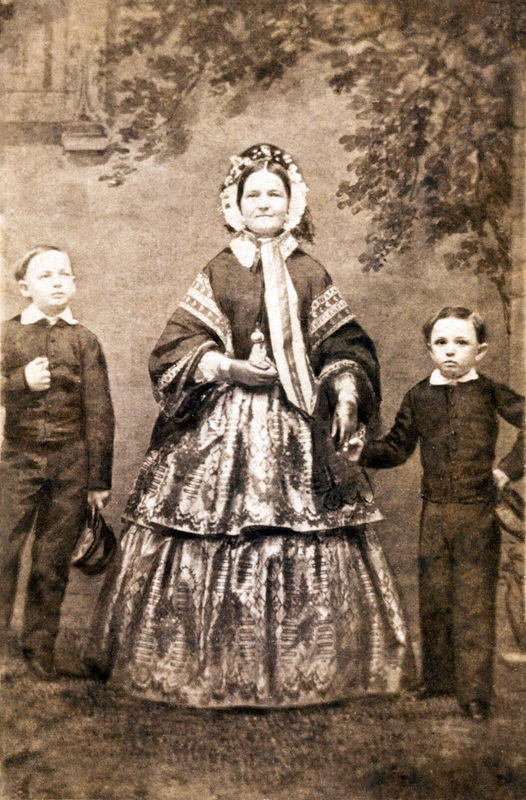 The death of her son Thomas (Tad) in July 1871, following the death of two of her other sons and her husband, brought on an overpowering grief and depression. Her surviving son, Robert Lincoln, a rising young Chicago lawyer, was alarmed at his mother's increasingly erratic behavior. In March 1875, during a visit to Jacksonville, Florida, Mary became unshakably convinced that Robert was deathly ill; hurrying to Chicago, she found him healthy. During her visit with him, she told him that someone had tried to poison her on the train and that a "wandering Jew" had taken her pocketbook but returned it later. She also spent large amounts of money there on items she never used, such as draperies and elaborate dresses (she wore only black after her husband's assassination). She walked around the city with $56,000 in government bonds sewn into her petticoats (underskirts). Despite this large amount of money and the $3,000-a-year stipend from Congress, Mrs. Lincoln had an irrational fear of poverty. In 1872, she went to spiritualist photographer, William H. Mumler, who produced a photograph of her that appears to faintly show the ghost of President Lincoln behind her (photo in Allen County Public Library, Fort Wayne, Indiana). Due to her erratic behavior, Robert initiated proceedings to have her institutionalized. 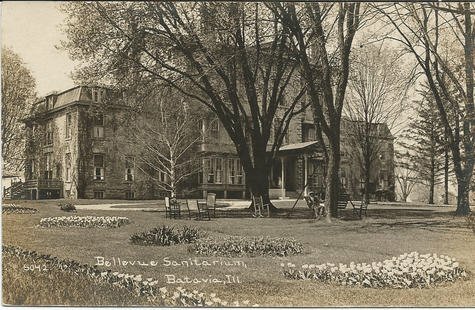 On May 20, 1875, following a trial, a jury committed her to a private asylum in Batavia, Illinois. After the court proceedings, she was so despondent that she attempted suicide. She went to several pharmacies and ordered enough laudanum to kill herself, but an alert pharmacist frustrated her attempts and finally gave her a placebo. Three months after being committed to Bellevue Place, she devised her escape: She smuggled letters to her lawyer, James B. Bradwell, and his wife Myra Bradwell, who was not only her friend but also a feminist lawyer. She also wrote to the editor of the Chicago Times. Soon, the public embarrassments that Robert had hoped to avoid were looming, and his character and motives were in question, as he controlled his mother's finances. The director of Bellevue at Mary's trial had assured the jury she would benefit from treatment at his facility. In the face of potentially damaging publicity, he declared her well enough to go to Springfield to live with her sister Elizabeth as she desired. 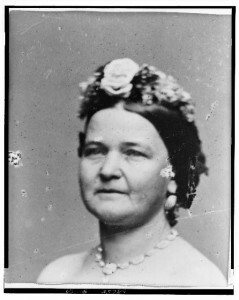 Mary Lincoln was released into the custody of her sister in Springfield. In 1876 she was declared competent to manage her own affairs. The earlier committal proceedings had resulted in Mary being profoundly estranged from her son Robert, and they did not see each other again until shortly before her death. Mrs. Lincoln spent the next four years traveling throughout Europe and took up residence in Pau, France. Her final years were marked by declining health. She suffered from severe cataracts that reduced her eyesight; this condition may have contributed to her increasing susceptibility to falls. In 1879, she suffered spinal cord injuries in a fall from a stepladder. She traveled to New York in 1881 and lobbied for an increased pension, after the assassination of President Garfield raised the issue of provisions for his family. She faced a difficult battle, due to negative press over her spending habits and rumors about her handling of her personal finances, including $56,000 in government bonds left to her by her husband. Congress eventually granted the increase, and an additional monetary gift. Shortly afterwards, she returned to Springfield and her health deteriorated until she died a few months later. During the early 1880s, Mary Lincoln was confined to the Springfield, Illinois residence of her sister Elizabeth Edwards. On July 16, 1882, she collapsed at her sister's home, lapsed into a coma, and died that same day at age 63. She was interred in the Lincoln Tomb in Oak Ridge Cemetery in Springfield alongside her husband.